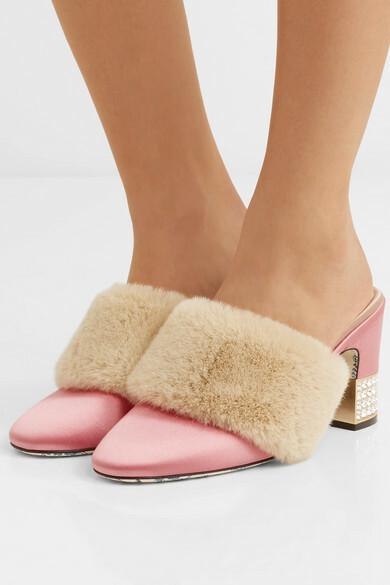 Gucci's eclectic pieces have the power to transform any outfit you're wearing, especially these 'Candy' mules. 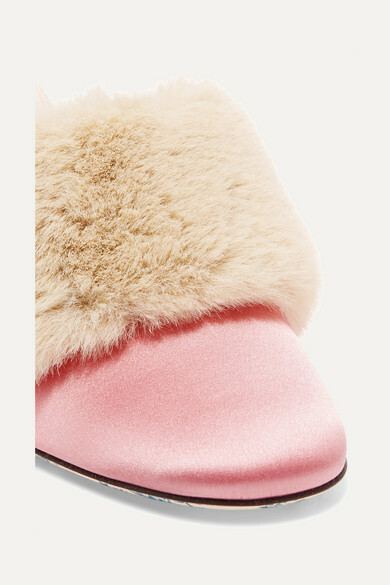 Reminiscent of traditional slippers, they're crafted from lustrous pink satin and finished with plush faux fur across the top and glistening crystals at the heel. 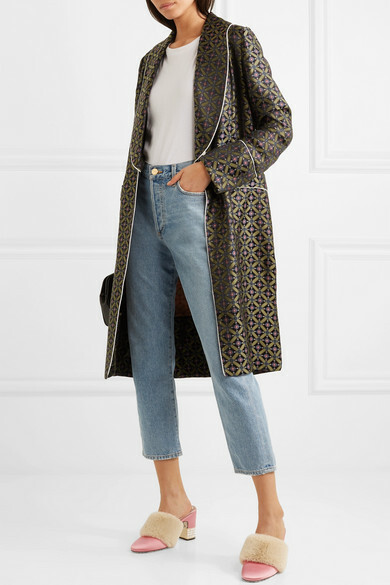 Try yours with fishnet tights and a dress or cropped jeans. Shown here with: The Row T-shirt, The Great Jeans, Golden Goose Deluxe Brand Jacket, Gucci Clutch, Off-White Earrings.